Medieval silver Edwardian penny, (class 1-9), 1279-1300.
recorded at club mtg failed to check I had an image of the reverse so the record is incomplete. 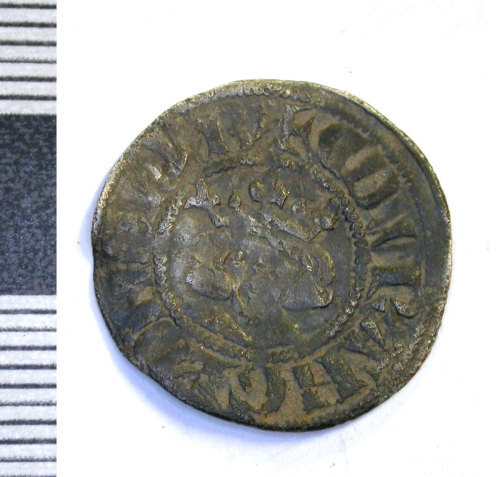 Medieval silver Edwardian penny of Edward I, class 1-9 1279-1300. London mint. Medieval silver penny Edwardian penny, probably class 1-9, London, 1279-1300. Medieval silver Edwardian halfpenny, London, probably class 1-9 (1279-1300).